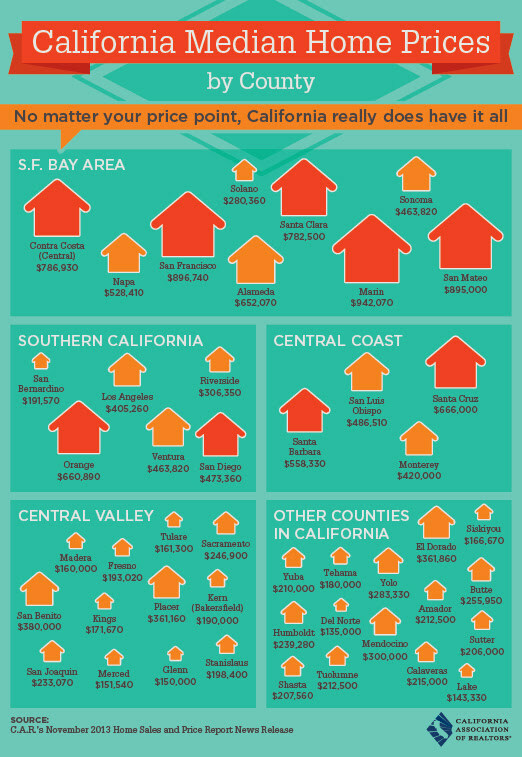 Here’s the latest housing values news for many Southern California counties. Compare to one month ago. 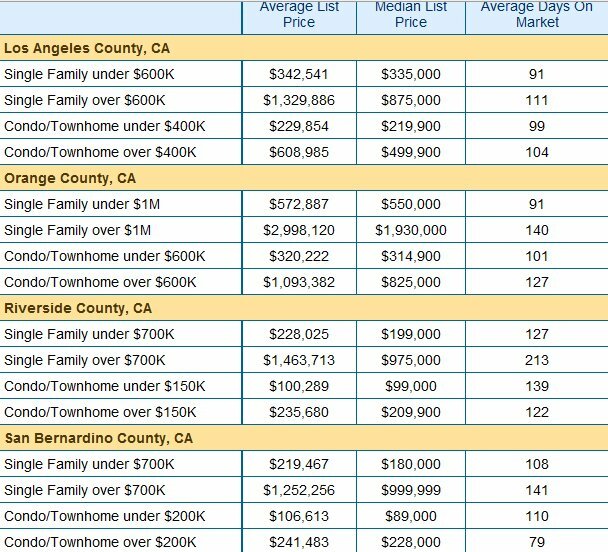 Here are the latest prices for SoCal housing as of August 28, 2010. Prices are lower than before. Check out Snapshot for March 2009 to see the difference in prices. Also, note the long times on the market. This occurs because we have a glut of inventory. Eventually, clearing out the glut will mean pushing prices down. If you are thinking of buying now is a good time. Mortgage rates nationwide are averaging 4.33% for a 30-year fixed loan. That is incredible…not since the 1950s..If you are considering a purchase, give me a call at 626-641-0346. What’s This? SoCal Home Prices Going Up? Portents for the future? It’s all over now? Not so fast, my friends, not so fast. It’s far from over as the article did mention further down the column. It seems Orange County, Ventura and San Diego County Counties had all edged up in median price just the teeniest, tiniest bit, a couple of thousand, because home sales in the higher price ranges had finally come out of their year-long stall and moved again, thus bringing up the median. Here’s the L.A. Times graphic illustrating the three: highest Orange, then Ventura, then San Diego. 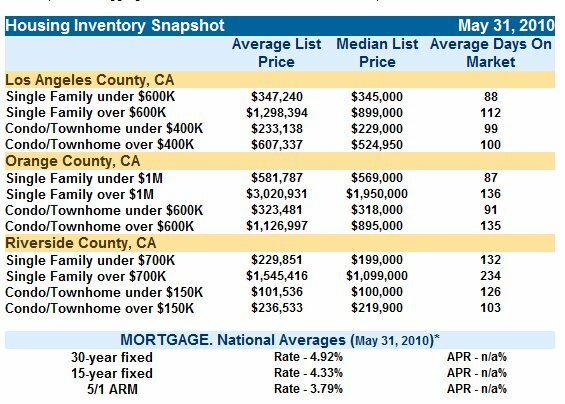 Overall, SoCal sic counties’ median price moved to $249,000 from $247,000 last month. That’s for all So/Cal counties, including L.A., San Bernardino and Riverside alongside the lucky three with higher medians. Orange County’s median is up 8% over April, Ventura is up 4% and San Diego 2%. Of course, these are more affluent areas, ranking first, second and third in income levels and so have a larger stock of middle- and high-priced homes. 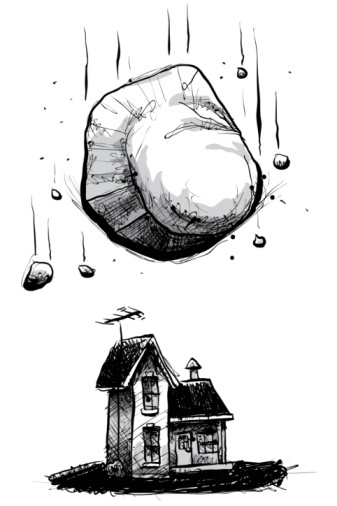 Still, it’s at least a bit of a breather…It seemed as though the real estate plunge was into a bottomless pit. Now we know there’s a bottom. This is the first upward tick since July of 2007. The new SoCal median is 51% below that peak. Wow. Still last month it was down 54% and still down 33% from last year May 2008. It’s been a brutally fast crash. We are definitely injured, but maybe we’ll make it after all. What’s the cause of this seeming miracle? Partially, it’s 18 months of solid declines in San Diego and more like 12 in Orange County, convincing many stubborn sellers that the good times weren’t coming back anytime soon. Sellers are becoming more realistic and buyers are buying at appropriate prices. Another reason is that the jumbo loan market has been virtually frozen for almost a year, and, gradually, banks are getting back into this formerly extremely lucrative market. Banks do charge higher rates for jumbos, and they do get better performance. The thaw has helped buyers who wanted to buy but couldn’t get financing. So, what’s the story for L.A. County? Holding steady at last month’s median..$300,000. 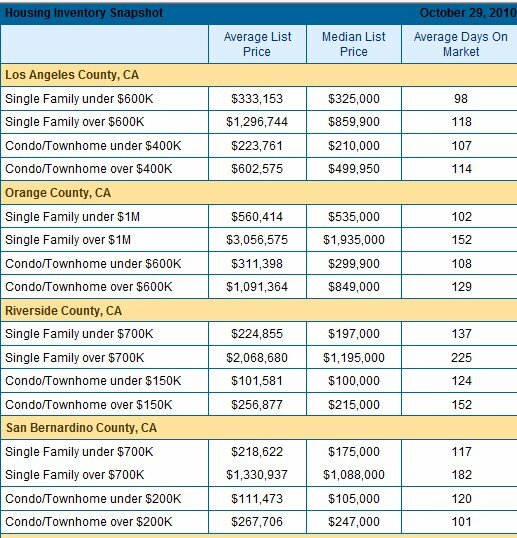 as is Riverside at $180,000 and San Bernardino at $137,000. Thanks to Family Home Loans for compiling the data.